Bike riders took advantage of the beautiful weather in Falmouth over the summer. It was just after 2 a.m. when Sheila Moreta was struck and killed by two cars while she was riding her bicycle home from a seasonal job at a restaurant in Hyannis. She had just completed her first shift. The roadway at Falmouth Street and Pitcher’s Way was slick with rain, according to the accident report submitted to the Massachusetts Department of Transportation. It was dark and the streets were not lit. Moreta was the only bicyclist killed on Cape Cod in 2012 and one of just two fatalities from 2010 to 2012. 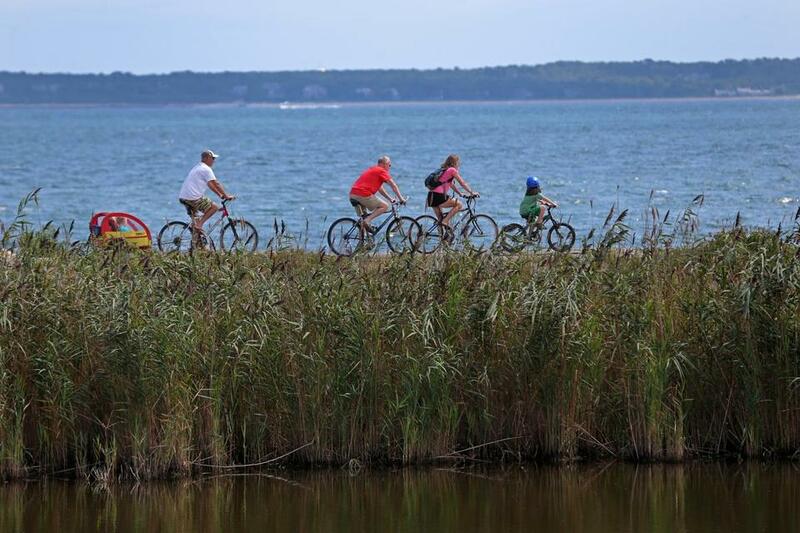 Still, the number of yearly bicycle collisions on the Cape increased by nearly 60 percent during that time period, prompting local and state groups to devote more resources to bicyclist safety in the area. MassDOT received 308 reports of collisions involving bicycles in 19 communities on Cape Cod, Martha’s Vineyard and Nantucket from 2010 to 2012. 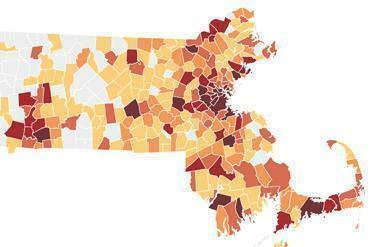 About three-quarters of the Cape Cod-based crashes caused injuries. Moreta, like the majority of those involved in bike crashes in the area, was struck during “the season,” or the months of June, July, August, and September, according to MassDOT data. That’s not just when the area is more populated, but also when more seasonal workers who typically do not have cars are commuting in the area. “They ride late at night, often wear dark clothes, and don’t know the rules of the road,” said David Watson, executive director of the Massachusetts Bicycle Coalition. Fifteen Cape Cod communities, the Massachusetts Bicycle Coalition, the state’s Mass in Motion program, the regional transit authority, and faith-based organizations launched a pilot program last summer to educate seasonal workers about bicycle safety. The program was funded, in part, by the local business community. As part of the program, the group distributed thousands of bicycle lights and multi-lingual safety pamphlets. Still, education is only part of the solution, said Watson. Paying attention to safety and using bicycle lights can help, but cyclists on the Cape and islands are often forced to use narrow and busy roads without bike lanes, like Route 6 and 6A, to navigate between communities, Watson said. Seventeen bicycle-related crashes were reported on those roads from 2010 to 2012, and in August 2013, a 16-year-old boy was killed while trying to cross Route 6 in Wellfleet on his bike. Of the Cape’s crashes from 2010 to 2012, about 70 percent involved a passenger car. Trucks played a role in 60 crashes, including three crashes with a tractor trailer. The majority of bicycles involved in crashes were struck at an angle. Of those with reported crash configurations, 20 percent of bicyclists were sideswiped, 7 percent were hit head-on, and 4 percent were rear-ended.